The Federal Reserve Bank of New York published its latest Quarterly Report on Household Debt and Credit recently, and, as usual, the real story about student loans is buried in its back pages. The report highlights the fact that loan-payment delinquency rates continue to improve (i.e. decline). On average, a little over 7% of all outstanding consumer debt obligations are in some stage of delinquency (30 or more days past due), and roughly 70% of those are seriously so (90 or more days past due). The executive summary also notes that student loan balances that are 90 or more days past due represent 11.5% of the total outstanding. Sure, it’s a troubling metric. But when the FRBNY juxtaposes that amount with the 9.5% of comparably delinquent (and equally uncollateralized) credit card debt, it doesn’t seem so out of whack—until you dig a little deeper. Unlike credit card balances, not all outstanding student loans are due at any given moment in time. In fact, of the approximately $1.2 trillion of education debt that’s currently on the books, only about half that amount is actually amortizing (the other half pertains to loans for students who are still in school). So the 11.5% is really closer to 23% because the total amount of delinquent loans should be divided by $600 billion instead of $1.2 trillion. What’s more, these are just the loans that are 90-plus days past due. What of the debts that are 30 or 60 days late? Curiously, that data is nowhere to be found, except for a strong clue in the back of the report. One of the graphs in the report is entitled “New Delinquency Balances by Loan Type.” It depicts contract balances that became 30 or more days past due during the preceding quarter. For the period ending Dec. 31, $29.36 billion worth of student loans migrated into the past-due column, which, when divided by the approximately $600 billion of loans that are currently being repaid, amounts to an additional 5% of delinquency. All considered, it would not be surprising to learn that one-third or more of all education debts that are in repayment mode are troubled, particularly when—per the FRBNY’s spreadsheet—more than $100 billion of student loan balances migrated into delinquency in each of the past few years. I can think of four possible answers. At least one-third of all the loans that were made should not have been approved in the first place. The servicers’ goals are at cross-purposes with those of the borrowers and their benefactors (the government, in the case of FFEL loans, and co-signers in the case of private student loans). The servicers are grossly incompetent. My money’s on number 4, for a couple reasons. The first has to do with the Federal Student Aid department’s recently released First Quarter Customer Service Performance Results. The FSA evaluated 11 nonprofit and four for-profit loan servicers for overall customer satisfaction, and the efficacy of their default prevention efforts. No servicer attained the recommended customer satisfaction score of higher than 80 (out of a possible 100), and only one scored the national average of 76. Interestingly, there were no industry benchmarks against which these particular servicers’ default prevention efforts could be measured. The data is instead compared within that 15-member pool, which undermines the metric’s usefulness. The second reason for my bet has to do with the extent to which the servicers are beholden to others. 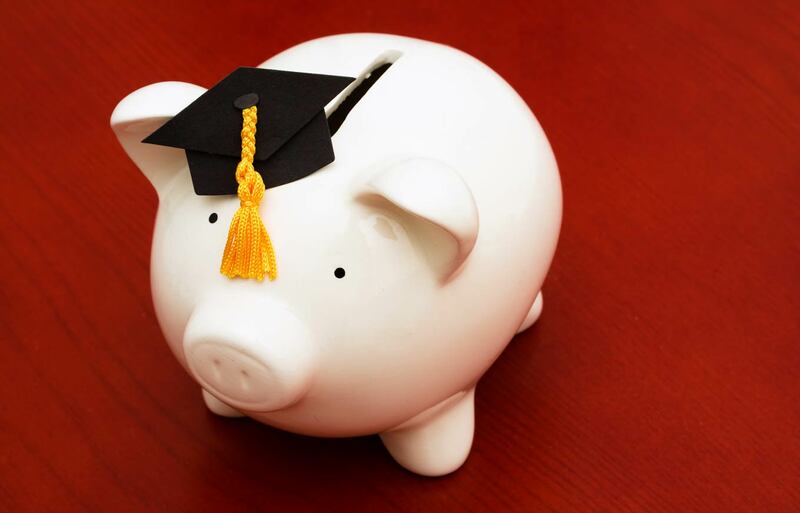 Several for- and not-for-profit loan servicing companies have successfully securitized portions of the government-backed and private student loans they currently administer. So when seriously troubled loans require restructuring (extensions of repayment terms) or modification (reduction in principal balance, abatement of interest rate), it would be fair to speculate that the servicers are reticent to take actions that run contrary to their investors’ interests. This situation is likely to deteriorate even further as new firms stream into the so-called servicing-rights marketplace, which is all the more reason for a national standard to govern the administration of these debts. A good starting point would be to capture and properly analyze all the pertinent data so that everyone can see how bad this state of affairs really is. The picture is actually much better than one would think. With credit cards, vehicle loans, mortgages, personal loans, and other debt products, charge-offs occur at less than one-half year past due. For debts owed to the federal government, there is never a charge-off. Because of the vast array of collection tools available, there is no reason to do so. The loans default after one year in delinquency and then enter the world of post-default collections. To create a true apples-to-apples default rate, one would have to add back the defaults charged off over the past 15 years for credit cards, vehicle loans, and so on. Even without doing the add-backs, it seems clear that only prime mortgages have performance superior to federal student loans. As a starting point, as far as delinquency, FRBNY should look at something like 61-180 days delinquent across the board. It shouldn’t be simply “greater than such and such days delinquent.” There is no continuum of delinquency through default from 31 days to 31 years. Default begins a different world and should be removed from the equation. On the other hand, it would be fair to look at a rolling default rate across all credit products, using charge-offs from the consumer lending world, if lenders are willing to report them consistently definitionally. For example, on a rolling basis, do 1% of balances default in a 12-month period? 2%? 3?